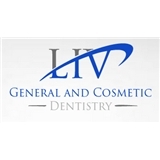 Liv Dentistry (The Colony) - Book Appointment Online! At LIV, we want to establish a relationship with you as a patient. Your oral health needs are extremely important. The decisions made in regards to those needs require consideration, experience, and most importantly, trust. We want to earn that trust from you by not only providing a comfortable environment but also through education of your options and conditions. Education is the cornerstone for a good patient-doctor relationship. We make good decisions when we are educated. We feel comfortable when we are educated. Most importantly, we establish trust when we are educated. At LIV, we will take the time to make sure you leave our office with a clear picture of your oral health and what treatment options you have available. We are fortunate to live in a time when the dental industry is ever-changing and always improving. LIV stays up-to-date with the newest techniques and equipment to make sure the patient experience is at an optimum. From digital impressions to laser dentistry to the newest in whitening products, we provide an environment that is not only comfortable but cutting edge. As the doctor of LIV, I am excited to continue the relationships we have developed over the years as well as create new ones in our beautiful, new office. Let us show you how to LIV Better! I’m soo happy I reconnected with Dr Clark!! He and his staff are attentive and personable. I had no wait time, and teeth look amazing!! So happy he opened a private practice close to where I live!